We are signing up cider and mead producers for the 2019 event. We're aiming for at least 20 producers for this year’s festival. You may recognize some cider and mead producers from previous years, and there are a number of new ones. We know it will be the best festival yet! 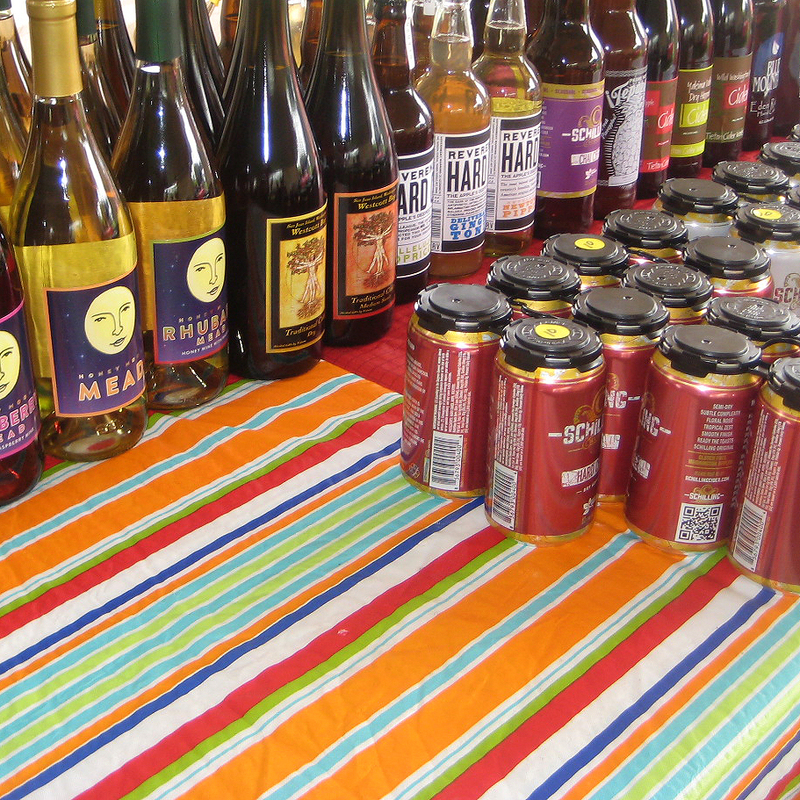 Here are the cider and mead producers we expect to participate this year. WANT TO JOIN THIS STELLAR GROUP? THERE IS NO CHARGE TO PARTICIPATE. DOWNLOAD THE 2019 ENTRY APPLICATION NOW! Historians largely agree that apple trees existed along the Nile River Delta as early as 1300 BC, but it is unclear whether cider was ever produced from the fruit. When the Romans arrived in England in 55 BC, they were reported to have found the local Kentish villagers drinking a delicious cider-like beverage made from apples. According to ancient records, the Romans and their leader, Julius Caesar, embraced the pleasant pursuit with enthusiasm. How long the locals had been making this apple drink prior to the arrival of the Romans is anybody's guess. By the beginning of the ninth century, cider drinking was well established in Europe and a reference made by Charlemagne clearly confirms its popularity. The Greek poet Ovid wrote that Bacchus invented mead, and both the Greeks and Romans identified it with ambrosia, the food of the gods. The ancient geographer Strabo wrote about Arabian cave dwellers who brewed mead for their tribal leaders, but mead was invented long before the Greeks and Romans wrote glowing stories about it. Mead is thought by some to be the oldest alcoholic beverage invented by man, and it appears almost anywhere in the world where honeybees can be found. It is almost certain that Neolithic people made mead long before they invented writing, probably discovering the process by accident when a jar of mixed honey and water was fermented by wild yeast. The oldest archaeological evidence uncovered so far, however, was the discovery in northern China of jars containing a fermented mixture of rice, honey and fruit dated to around 7,000 BC. Archaeologists have discovered the remains of mead in a number of digs, including one cache dating back to around 500 to 550 BC.